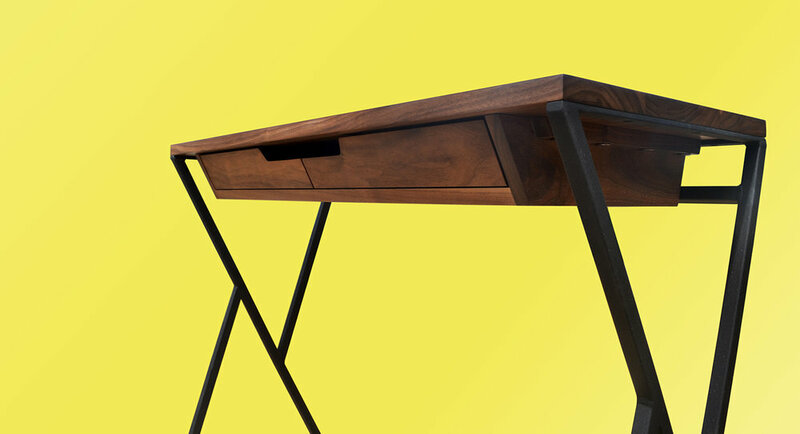 14"D. x 30"H. x 48"W.
The YK desk is a streamline design with a visual lightness that make this furniture piece appropriate for different spaces such as hallways, foyers or lobbies. This simple and functional piece takes its name from its geometrical base design; two offset triangles, creating an abstract fusion between the letters Y and K.
The narrow and straight lines of the base and the top make this design ideal for contemporary spaces. 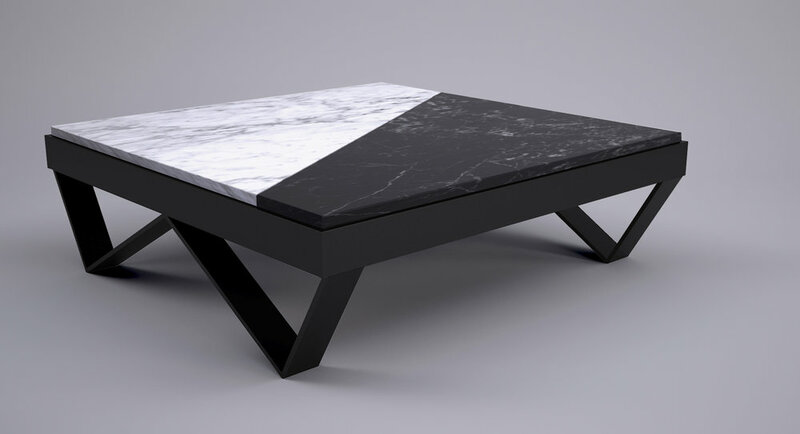 With a wide selection of wood and marble tops and different colour options, this table will work well in any space. This piece is carefully manufactured by local skilled makers in Victoria, BC, Canada.